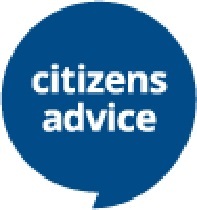 Citizens Advice Calderdale need a range of volunteers to help in both support and client facing roles. In particular need are receptionists / admin staff on Mondays from 9:30am-1:30pm. As part of Volunteer Week (1-7 June) CAB are holding a Volunteer Open Day at the stall in the Borough Market on Wednesday 6 June, 10:00am-2:00pm so call in and have an informal chat to see how you might enjoy helping. If you have at least one day a week available and would like to help clients directly then maybe a role as a telephone assessor would be something for you. If you enjoy research and writing reports then maybe helping with our Research and Campaigns might be something you’d like. This entry was posted in Events, Get Involved / Have Your Say, June and tagged Calderdale CAB, Citizens Advice Calderdale. Citizens Advice Calderdale have a variety of volunteer opportunities available including Telephone and face to face Assessors, Information Assistants and receptionists. You must be free to attend 2 training sessions a week based in both Todmorden and Halifax- Travel costs will be provided. If you’re interested, please email Volunteer@calderdalecab.org.uk or call 01422 330 104 and leave a message. This entry was posted in Get Involved / Have Your Say and tagged calderdale, Citizens Advice Calderdale, Get Involved, Volunteer, Work Experience. Spaces are limited, so to book please call Calderdale Parents & Carers on 01422 343090. This entry was posted in Feb, Get Involved / Have Your Say and tagged Calderdale Parents and Carers, Citizens Advice Calderdale, Event, February, Hanson Lane Enterprise Centre, Money Advice, Money in your Pocket.